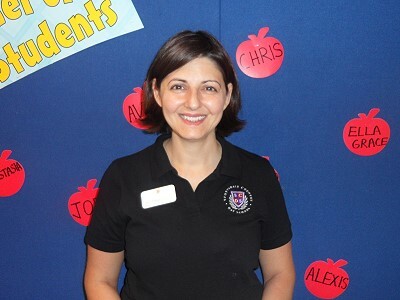 Hello, my name is Kathy Prahcharov, and I am the Director of Operations at Scottsdale Country Day School. A native of New York City, I moved to Phoenix 20 years ago. I graduated from Arizona State University with a degree in business communication. I possess extensive experience in event planning and international business communication. My business background and love of travel have presented many opportunities to experience different cultures such as enjoying brick oven pizza in Italy, coming face to face with monkeys in Costa Rica, enjoying the view from the Eifel Tower, and watching USA play at the 2006 World Cup in Germany. At SCDS, I supervise the daily operations and management in the main office. A highlight of being the first point of contact in the office is the opportunity to get to know parents and interact with the students. It is personal relationships with our families that helps create a family community at school. We are fortunate to have such hard-working and talented teachers who make great contributions at SCDS for our students. My goal in the office is to create an atmosphere that fosters learning, acknowledgment of successes, school pride, and an environment in which it is enjoyable to work and learn. I can't help but smile when I talk about our 3 wonderful children, Elle, Henry, and Spencer. They are the inspiration for SCDS and the driving force that gives Steve and me the continued knowledge, creativity, and dedication to this wonderful school. I look forward to watching each student flourish at SCDS. Please contact me at 480-452-5777 or at kathy@scdsaz.com with any questions about our school.